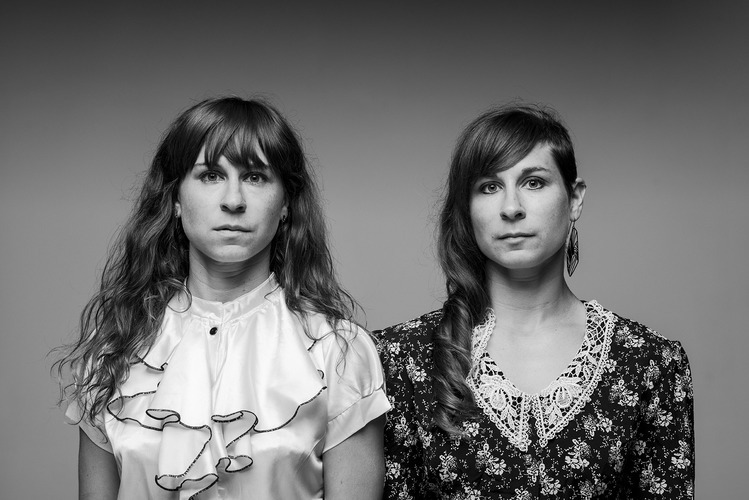 Junk Ensemble was founded by twin sisters and Artistic Directors Megan Kennedy and Jessica Kennedy. Based in Dublin, the company exists to engage diverse audiences through the creation and presentation of brave, imaginative and accessible dance-theatre work that sheds light on important human issues relevant to society today. Previous Artists-in-Residence at The Tate, the multi-award winning company have built a reputation in Ireland as dance innovators. Junk Ensemble frequently collaborate with artists from other disciplines to produce a rich mix of visual and performance styles that challenge the traditional audience/performer relationship. This approach has led to productions being created in non-traditional or found spaces as well as more conventional theatre spaces. The company often work directly with communities in the creation and performance of their work. Their work has toured to New York, Europe, and throughout the UK and Ireland. Junk Ensemble are Project Artists at Project Arts Centre and Cork Dance Artists-in-Residence at Firkin Crane. Productions include The Bystander (Dublin Theatre Festival 2018), Man At The Door (Cork Midsummer Festival 2018), Dolores (Dublin Dance Festival 2018), Soldier Still (Belfast International Arts Festival/Dublin Fringe Festival 2017), Walking Pale (GPO Witness History Commission/Dublin Dance Festival 2016), It Folds, a joint production with Brokentalkers (Edinburgh Festival 2016/Mayfest Bristol 2016/Dublin Fringe Festival, Abbey Theatre 2015, Dusk Ahead (NYC La MaMa Moves Festival 2015/National Tour 2015/Dublin Theatre Festival 2013/Kilkenny Arts Festival 2013), The Falling Song (8-venue UK & National Tour 2014/Belfast Festival 2012 /Dublin Dance Festival 2012), Bird with Boy (UK Tour 2016/Dublin Theatre Festival 2012/Dublin Fringe Festival 2011), Sometimes We Break (Tate Britain Commission 2012), Five Ways to Drown (National Tour 2012/Dublin Dance Festival 2010), Pygmalian Revisited (Aix-en Provence Festival Commission 2010), Drinking Dust (2008), The Rain Party (2007) and short film Blind Runner (2013), commissioned by Dance Ireland. Jessica Kennedy trained in the United States, Dublin and London, completing a Bachelors Degree in Dance Performance & English Literature in London and a Photography Diploma at Dun Laoghaire College of Art & Design. She has performed extensively with dance and theatre companies throughout Europe and the UK including Blast Theory (UK) Retina Dance Company (UK), Tanz Lange (Germany), Firefly Productions (Belgium), Storytelling Unplugged (Romania). In Ireland she collaborates regularly with Brokentalkers (Circus Animals' Desertion, The Blue Boy, Frequency 783, In Real Time, On This One Night) and has performed in productions with The Abbey Theatre, The Ark and The Pavilion Theatre. Jessica co-created the award-winning and internationally acclaimed short film Motion Sickness in 2012, which has screened across 30 festivals worldwide, and has choreographed for and performed in numerous film, theatre and opera work. Other film credits include 6SKIN (Alice Maher & Aideen Barry 2018), Five Letters to the Stranger Who Will Dissect My Brain (Tyrella Films 2018), Oiche Nollaig na mBan (TG4/Oonagh Kearney 2016), The Wake (Invisible Thread Films/Oonagh Kearney 2013), Turning (Highly Stimulating Productions 2013), Dance Emergency (TG4 2013), Wonder House (Oonagh Kearney 2012) and Her Mother’s Daughters (RTÉ 2010). Other choreographic credits include Scotties (Theatre Gu Leor, Glasgow 2018), Off Kilter (Tron Theatre Glasgow/Ramesh Meyyappan 2017), the creation of Songs from a Car Park (2014) and Nixon in China (Wide Open Opera 2014). Jessica has lectured at various universities and also performs in the band EVERYTHING SHOOK. She was awarded Best Female Performer for Dublin Fringe Festival 2006. Jessica was Dance Artist in Residence at RUA RED Arts Centre 2012-13. Megan Kennedy trained at Alvin Ailey Dance Center in New York City and received a B.A. Honours from Queen Margaret University in Edinburgh. Choreography for live performance includes Villette (West Yorkshire Playhouse), Town is Dead (The Abbey Theatre), Tasting Blue (Bram Stoker, Live Collision, Project Arts Centre Gallery), Tchaikovsky’s Queen of Spades Opera (Edinburgh Festival Theatre), Bram Stoker Festival (IRL), Marble & Bread (Dance Limerick), eX Choral Ensemble (IRL). Performance and choreography for film includes Five Letters to the Stranger Who Will Dissect My Brain (Tyrella Films), The Wake (Invisible Thread/Oonagh Kearney), Óiche Nollaig na mBan (RTÉ Television/Oonagh Kearney), Wonder House (Dublin Film Festival), Blind Runner (Junk Ensemble/Dance Ireland), Her Mother’s Daughters (Winner Best Actress Capalbio Festival Italy/Dance on Camera NYC/RTÉ Dance on the Box). Megan has performed with Loosysmokes Aerial Company (IRL), Retina Dance Company (UK), Brokentalkers (The Blue Boy, On This One Night), CoisCéim Dance Theatre (Faun, As You Are), The Abbey Theatre (Romeo & Juliet), Tanz Lange (Germany), Storytelling Unplugged (Romania), Blast Theory (UK), Firefly Productions (Belgium), Bedrock Productions (Pale Angel) and productions for The Ark and The Pavilion. She was Limerick Dance Artist-in-Residence in 2014-15 and is a Fellow of Salzburg Global Seminar. Gwen is a Producer, Consultant, Trainer and Mentor working across the full breadth of the live performance sector. After working in the commercial sector in the USA and UK, Gwen moved into arts management. She was Administrative Director for Motionhouse Dance Theatre 1992 - 1997 after which she embarked on a career as an independent working with artists including: Russell Maliphant, Carol Brown, Rosemary Butcher and Nigel Charnock as their manager and project and/or tour producer. Gwen currently has ongoing roles as Executive Director of Lone Twin for whom she produced The Boat Project, one of the highlights of the 2012 Cultural Olympiad; as Producer for New Art Club; and since Sept 2017 she has been working in a Producer role with Dublin based companies Junk Ensemble and Brokentalkers. To complement her work as a producer Gwen has undertaken consultancy projects for clients including: Marketing Gloucester, Arts Council England, Arts Council of Wales and South East Dance; fulfilled advisory strategic and business development work for Company Chameleon, Wired Aerial Theatre and Yorke Dance Project; delivered training in arts management; and lectured on cultural policy and management at the Universities of Falmouth, Surrey and Coventry. Gwen is currently Chair of the Board of Trustees of the Mill Arts Centre and has previously held the post of Chair of the Board for Dance 4 (1998 – 2005) and also Stan’s Café Theatre (1999 - 2005).